Our experienced, highly trained WeatherMakers plumbers handle all types of residential and commercial plumbing jobs, from simple repairs and leaks to complex installations. A WeatherMakers plumber can also inspect, repair and replace tank and tankless hot water heaters. Our company is licensed and insured, and our work is fully guaranteed. With over 60 years of experience in the industry, and as a member of the Better Business Bureau’s 55-year Trust Club, our goal is to provide you the best customer experience possible. We hire certified technicians who undergo background checks and drug testing so you know you’re safe in your home or business. If you are not 100% satisfied with the plumbing service we have provided, we will return for a free follow-up repair or provide you a full refund. If any of our plumbing repairs should fail for any reason within the first year, we will come back and repair it at no charge to you. If you are dissatisfied with any aspect of your service with WeatherMakers, we will modify, repair, or replace your plumbing problem until you are 100% satisfied. Sign up today for a Comfort Club membership. Membership guarantees front-of-the-line service, a FREE annual plumbing and fixture inspection, and up to 20% discount on all services! 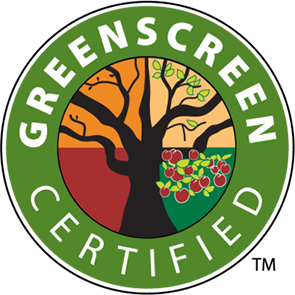 WeatherMakers is Green Screened and is committed to improving energy efficiency at work and in the field. You can join the movement, too!